Advanced TCP IP Data Logger - Advanced TCP/IP Data Logger - an efficient tool for your data logging needs! This download (aipdlog4.exe) was tested thoroughly and was found 100% clean. Click "Report Spyware" link on the top if you found this software contains any form of malware, including but not limited to: spyware, viruses, trojans and backdoors. Advanced NMEA Data Logger 3.0.8.828 - Advanced NMEA Data Logger - an efficient tool for your data logging needs! Serial Printer Logger 3.0.7.828 - Serial Printer Logger - an efficient tool for your data logging needs! Advanced OPC Data Logger 3.0.7.828 - Advanced OPC Data Logger - an efficient tool for your OPC data logging needs! Advanced PBX Data Logger 3.0.7.828 - Advanced PBX Data Logger - an efficient tool for your PBX data logging needs! 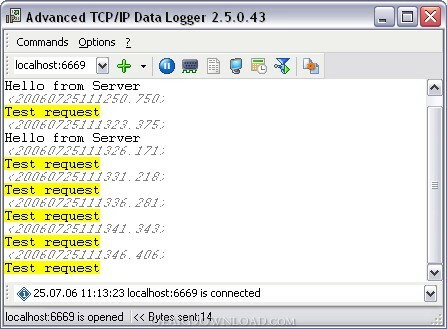 Data Logger Suite 2.6.3.516 - Data Logger Suite - one program for logging from different ports: RS232, TCP/IP! GPS Tracker Data Logger 2.6.2.516 - GPS Tracking & Logging solution. Writing to a database or file in real time.